Minesweeper SANDVIG with the sweeping gear out. 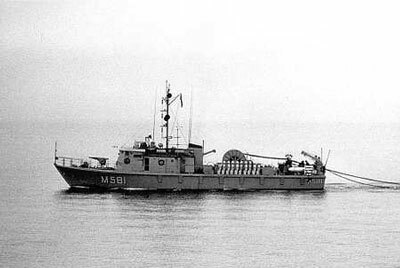 Non-magnetic minesweeper designed for mine sweeping in shallow waters. Almost the same look and design as the Dutch VAN STRAELEN Class. 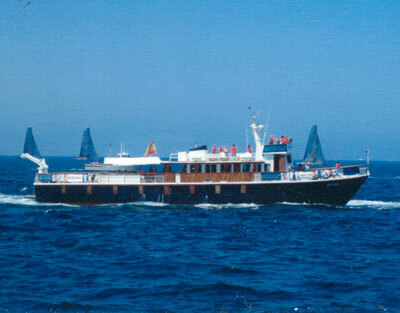 in the Mediterranean i 2006.